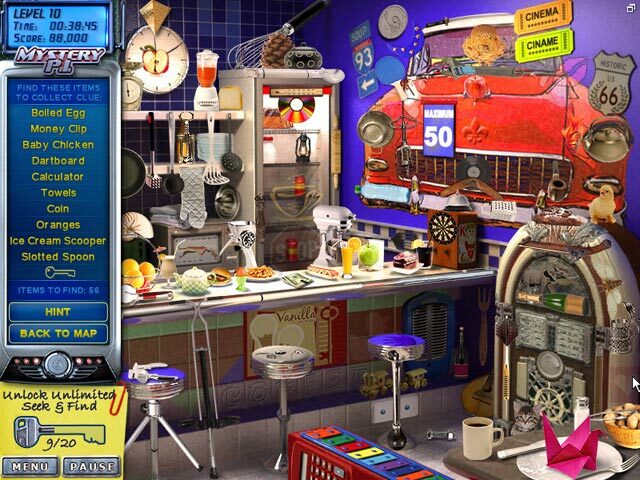 Download Mystery P.I. 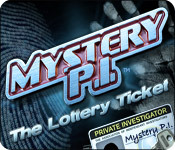 - The Lottery Ticket Game for PC at Windows 7 Games! You are the world famous Mystery P.I. and you`ve been hired by Grandma Rose to find her winning $488 Million lottery ticket! 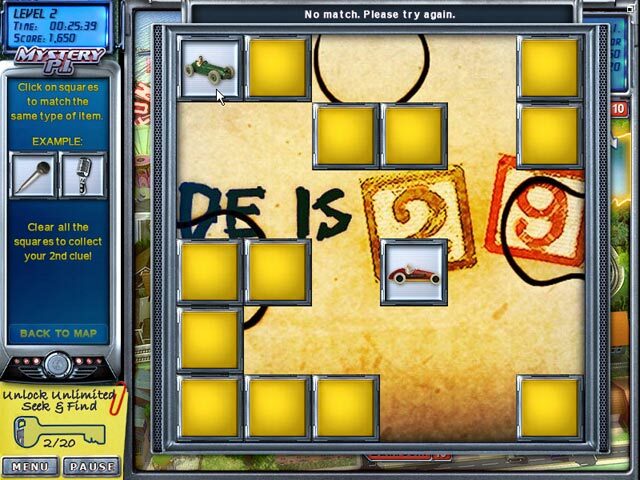 Retrace Grandma's footsteps to collect clues by finding over 2100 cleverly hidden objects and solving puzzles. 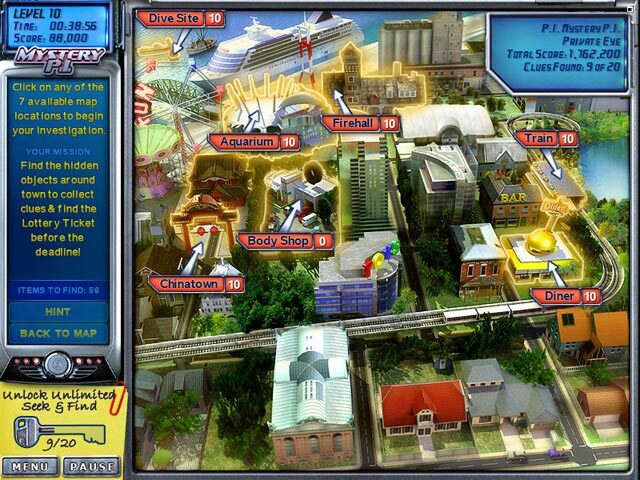 Two addictive ways to play: Find the Ticket and Unlimited Hidden Object game mode. Grandma Rose has agreed to pay you $20 Million if you find the ticket before the deadline. Hurry, you only have 12 hours to find the ticket!